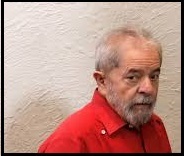 April 7, 2019 is the one-year anniversary of the imprisonment of former Brazilian president Lula. Events demanding his release are being held in 30 countries. An interview with ITUC General-Secretary Sharan Burrow.